When you are wandering through the World Showcase in Epcot, one of the signs that you have entered the Mexico Pavilion are the sounds of Mariachi Cobre, the Disney World strolling mariachi band. This set of posters plastered on a wall in Epcot are a great example of the creative genius of the Disney Imagineering staff to incorporate this detailing almost subliminally into the background. Check out not one, but three different signs incorporated together. 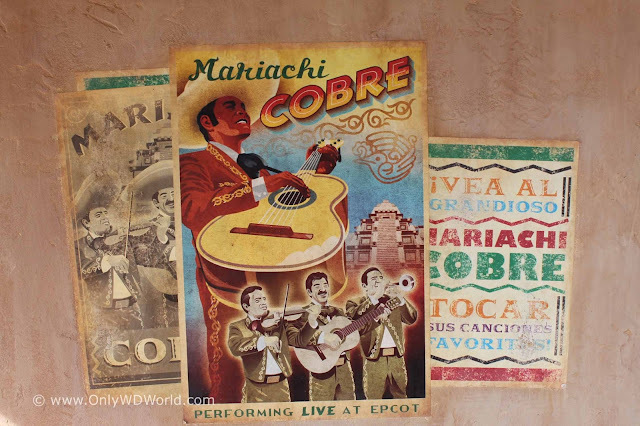 0 comments to "Signs of Disney World: Mariachi Cobre At Epcot"